Xylitol, a sugar substitute used in some sugar-free products, including candy and chewing gum, is very toxic to dogs and fatal even in small amounts (e.g. 8-10 sticks of chewing gum). It causes dangerous surges in insulin and can result in liver damage in 24 hours. If you shop at Amazon.com (who doesn't?) you can generate a donation for us simply by beginning your shopping at AmazonSmile! Doesn't cost you a penny, but sends 0.5% of your eligible purchases to help the cats! Do you know anyone who still thinks declawing a cat is a good idea? Have them take a look at www.pawproject.org and take them to see their new movie! 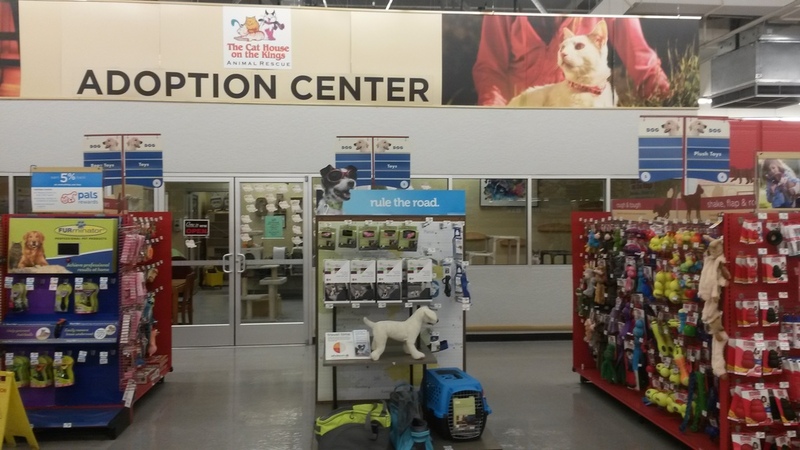 Our heartfelt thanks go to Carl and the Petco Foundation for their support. Occasionally people share with us their own stories about The Cat House on the Kings, cats and dogs who have passed through our doors and about their other pets. We share some of these stories through our scrapbook. If you have a special story to share, simply e-mail us. Drawing on May 4th, 2019. 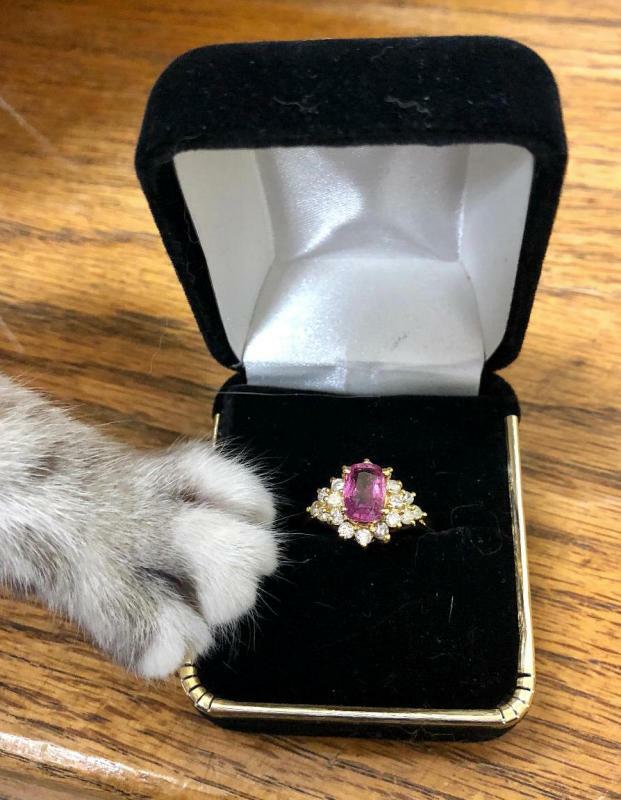 The Cat House on the Kings is raffling off this beautiful ladies size 7, 14kt yellow gold, contemporary style faceted-cut sapphire and diamond fashion ring. The ring features 18 round brilliant-cut diamonds and gorgeous cushion-shaped sapphire. Appraised value: $4,600. Raffle tickets are just $1 each. For every 20 tickets you purchase, you will get one free. So if you buy 60 you will actually get 63! To enter send a check or money order payable to The Cat House on the Kings and marked "RAFFLE TICKETS" in the memo section to The Cat House on the Kings, 7120 S. Kings River Rd., Parlier, CA 93648-9720. Alternatively, you may call our office at (559) 638-0030 to purchase tickets with a credit card ($20 minimum). Your ticket numbers will be recorded for the drawing, but we are saving on postage and not mailing ticket stubs. Tickets purchased locally will receive ticket stubs. You need not be present to win. Shipping is free to U.S. addresses, but any international winner will need to help cover shipping costs. Please note: We are not permitted to accept raffle ticket payments online. We apologize for the inconvenience. The Cat House on the Kings is extremely grateful to the following organizations and individuals for their generous grants. Please visit their websites via the links below to find out more about their charitable activities. Greater Good in conjunction with Boehringer Ingelheim provided us with 500 Fel-O-Guard Plus 3 vaccines which will be of tremendous help during kitten season! $1,000 1st place weekly winner for the 2016 Story Contest Challenge. $20,000 Grand Prize Winner & $2000 Weekly Prize Winner, 2015 Happy Howlidays Shelter Challenge. $1000 1st California State Winner, 2015 Play It Cool Shelter Challenge. 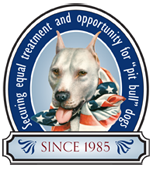 $2000 Grand Prize & $500 Weekly Winner prize, 2015 Spring Beta Test Shelter Challenge. 50 AlphaPooch pet beds for 2nd place in California, 2014 Holiday Edition of the Shelter Challenge. Thank you to The Animal Rescue Site for making this all possible and to all of you, our supporters, for voting daily for us in the Shelter Challenge contests! The Cat House on the Kings is honored to have received a $1000 Community Impact Award from Alley Cat Allies for which we are extremely grateful. The Build-a-Bear Workshop Bear Hugs Foundation has awarded us a $2,500 grant. Leave No Paws Behind has generously awarded us $500. We are extremely grateful to the Animal Farm Foundation for an initial grant of $5,000 to provide comprehensive companion animal care services to pet owners in need of assistance through the Happy Healthy Pet program. We have also received generous grants from the following: Ark Antiques ($10,000), Julie Joyce ($5,000), Double Taurus Animal Foundation ($600) & Stefanelli Distributing Co. ($250).